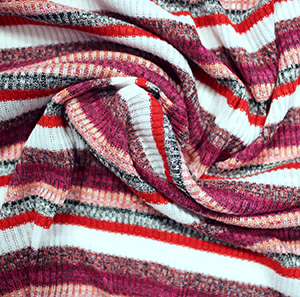 High-quality jersey rayon blend retro stripes in fuchsia, heather black pink, and more on a white wide wale jersey blend rib knit. 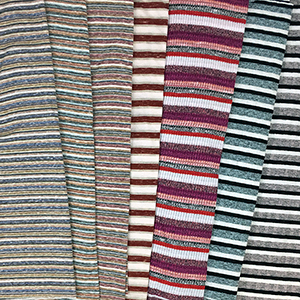 Great for many uses like on-trend sweaters, tank tops, dresses, and more! 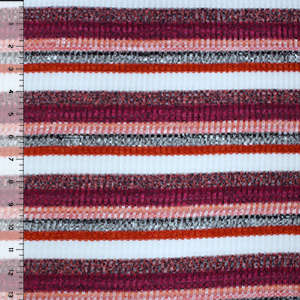 Fabric is light to mid weight, ribbing is 4 x 1, and has a nice stretch and recovery. See image for scale.